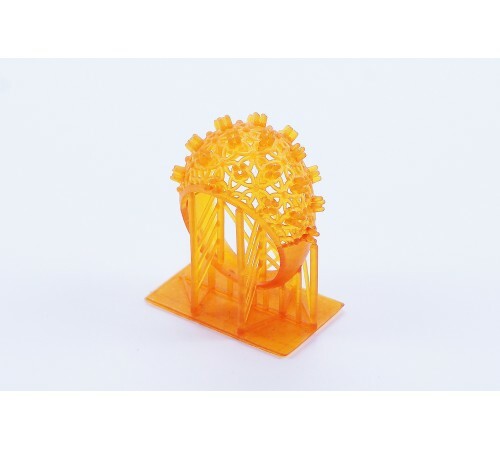 S30L Rapid Shape Common Process for 3D Printing SPEED & ACCURACY Highly accurate & flexible generative desktop printer with ultra-fine resolution Up to 4 times faster than comparable systems with “force feedback” option Best-in-class pixel resolution with +/- 21µm, z scalable 25 – 100 µm Perfect to build 3d models for direct casting, direct mould making, general purpose shapes DETAILS: Generative Rapid Prototyping system to manufacture 3D models for jewellers, labs and design studios. Small & easy but highly accurate & flexible for jewellery design and production. 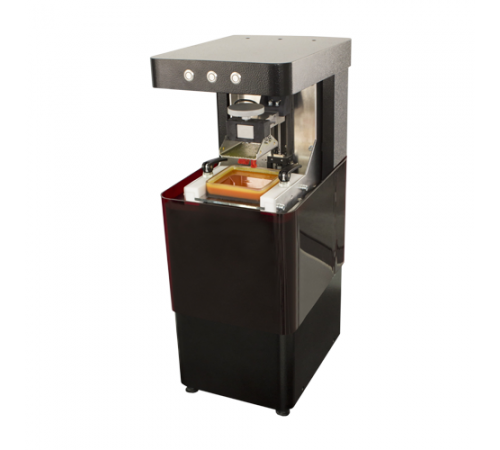 A highly effective new generation of Rapid Prototyping machines. Directly from CAD to master pattern. Pefectly suited to get your ideas into products, the S30 builds a few items in a very short time. The results can be used for discussing, checking and proving design and feasibility. 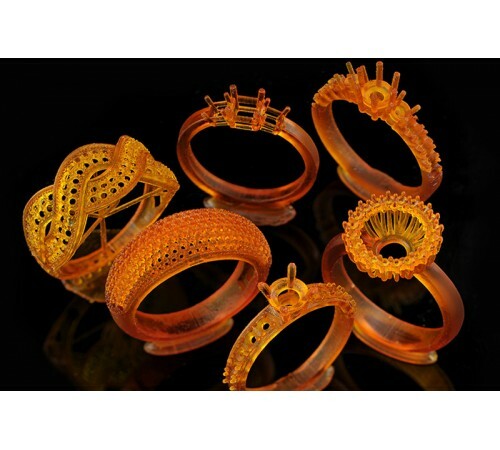 Perfectly suitable resins are available whether for direct use for casting, making master patterns for rubber moulds or building samples for demonstration models. GENERAL DATA Working area 83 * 46 mm Slice thickness 25 – 100 µm Resolution / native pixel +/- 21 µm Max. part height 80 mm Building speed standard 10 mm/h Building speed with “force feedback” 20 mm/h CONTROL & SYSTEMS machine control stand-alone PC / USB interface / remote network control light source HD resolution DLP beamer 1920 x 1080, LED technology FFS patented force feedback system to run high speed at high precision SOFTWARE NetFabb Rapid Shape eco Included Resin Library Included INSTALLATION Electrical supply 220 V Size 245 * 620 * 320mm (W*H*D) Weight 15KG HIGH PERFORMANCE RESINS Direct castable resins available Mould making (silicon & high temperature rubber) and general purpose resins available SERVICE & QUALITY Installation and training service available System training and test at rapid shape headquarter available Consulting and maintenance contract available ..
Generative Rapid Prototyping system to manufacture 3D models for jewellers, labs and design studios. Small & easy but highly accurate & flexible for jewellery design and production. 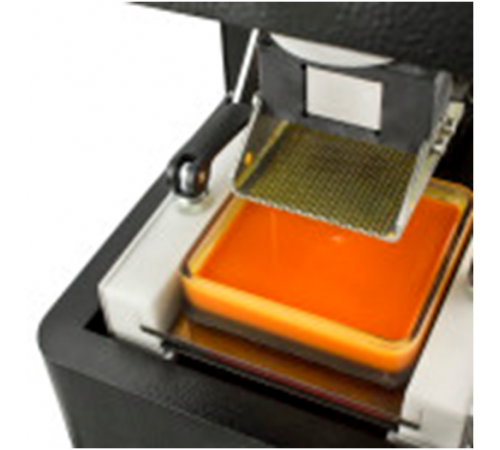 A highly effective new generation of Rapid Prototyping machines. Directly from CAD to master pattern. Pefectly suited to get your ideas into products, the S30 builds a few items in a very short time. The results can be used for discussing, checking and proving design and feasibility. 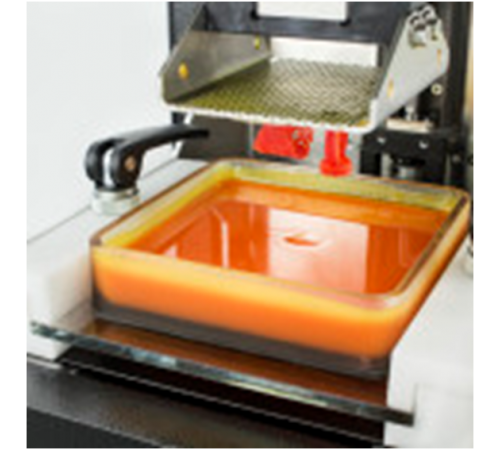 Perfectly suitable resins are available whether for direct use for casting, making master patterns for rubber moulds or building samples for demonstration models.